Achieving ones best possible shape depends on a number of factors; including an efficiently functioning metabolism. To learn more about keeping a well balanced metabolism read below. Come competition time, the aim of all bodybuilders is to become as shredded as possible, while maintaining hard won muscle size. Becoming shredded, or ripped, depends on a number of variables: a low-fat diet, the right genetics, the correct amount of aerobic work and hard, heavy, weight training. 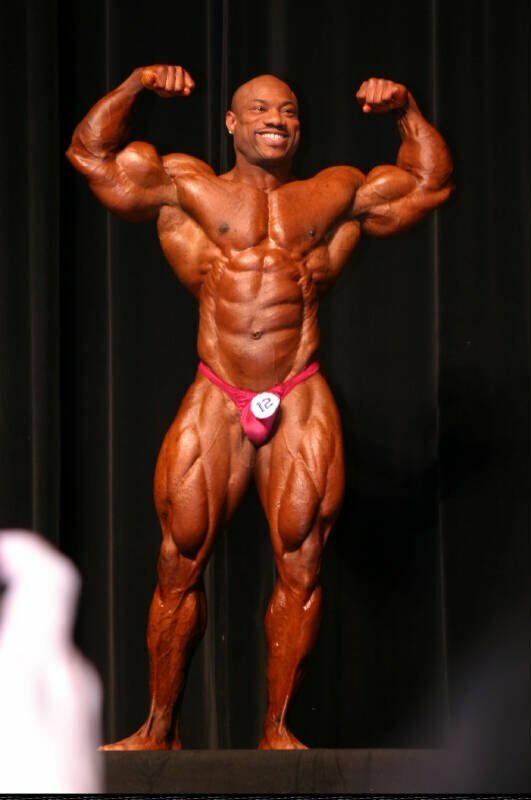 Although achieving the type of ultra-ripped appearance that wins contests should be, in theory, a relatively easy proposition if all of the pre-contest rules are followed, there is one factor that often negates progress in even the most diligent of lifters. Yes, a slow metabolism is one thing one does not want to be cursed with, when their main sporting goal is to lose body-fat, while retaining muscle. Indeed, those who take every possible precaution to ensure they arrive at contest time as cut as humanly possible, but find it exceedingly hard to lose the last of their body-fat, might just have the dreaded slow metabolism. But does such a slow metabolism exist, or are some bodybuilders simply inept at managing their pre-contest regime, and committing to the long-term goal of fat-loss. According to some authorities, a slow metabolism can be euphemistically used to describe all of the above, in that when the appropriate rules of pre-contest preparation are followed, results in fat loss should readily present themselves. What Is Metabolism, and How Does It Effect Bodybuilders? Metabolism is a very broad term, which encompasses a wide variety of definitions. Broadly, it can be defined as the ingestion and breakdown of complex compounds, coupled with the liberation of energy, and the consequent generation of waste products. In terms of bodybuilding, and bodybuilders preparing for competition, metabolism of fat is what counts primarily. Metabolism effects bodybuilders in the sense that its inability to function efficiently due to certain variables (diet, training and genetics), prevents the athlete from losing the desired amount of body-fat, which negatively effects their stage presentation, and lowers their chance of winning - the aim of any serious athlete. Frank 'Tiny' Roberson & Dexter Jackson Know How To Utilize Thier Metabolism To Get Super Ripped! Therefore, the key for any pre-contest bodybuilder, is to increase the rate at which they burn body-fat, through activating this aspect of the metabolism. But exactly how is this done? As mentioned, increasing the body's fat burning potential by activating the metabolism requires that a number of factors are taken into consideration. All of the following pre-competition, or general fat-loss (as these apply not only to bodybuilders), rules, will work wonders when it comes to getting in the best possible shape. The metabolism is adversely effected when one consumes a large amount of food, for a certain period of time. In fact, the term yo-yo dieting stems from many peoples attempts to lose weight, whilst reverting to bad eating habits, when they should be sticking to a sensible approach. The body will simply adapt to maintaining a low metabolic rate if it has to continually adjust to a sharp decline in calories, for a period, followed by engorgement. This has obvious implications when it comes to losing weight when it counts (pre-competition for example). Attempting to lose fat at a rapid rate will also, inevitably, result in losses in protein, and, as discussed in detail later, a net loss of muscle protein means a decrease in metabolism. Another problem with drastic weight loss, in light of excess weight to be lost, concerns an enzyme called lipoprotein lipase (LPL). LPL is a fat storing enzyme, that increases when calories are dropped at a significant rate. Too much LPL, and one piles on the fat, and will possibly need to diet harder to lose this fat, which might further increase LPL and make losing fat next to impossible. The idea is to maintain a sensible eating plan throughout the off-season, so when pre-contest rolls around, one does not have to severely restrict calories to lose weight. Eating smaller servings, on a frequent basis, serves to keep the metabolic rate constantly heightened, and helps to stabilize blood sugar levels. A constantly stimulated metabolism means fat-burning over a longer period. Stabilized blood sugar prevents the hypoglycemia that occurs when one eats a huge meal and feels tired and lethargic soon afterward, due to low glucose levels to the brain. The body is more likely to store fat when in a hypoglycemic state, due to a spike in insulin levels. It is known that endurance athletes have higher metabolic rates than bodybuilders, despite the latter exhibiting significantly more muscle. Aerobic training is the sustained lower intensity work these athletes engage in, and its ability to stimulate the metabolism, during, and hours after, training, cannot be overlooked. Bodybuilders serious about fat loss should engage in aerobics both off-season and pre-contest, to keep the metabolic fires burning. In fact, aerobics have a triple-whammy effect on fat-loss, in that they stimulate the metabolism, metabolize fat directly as a fuel source, and burn carbohydrate calories, thus lowering the fat-storing potential of these macronutrients. Aerobics can however deplete the body of protein if done too often, or for too long, or both. Therefore, if one witnesses muscle wastage pre-contest, it might be a good idea to cut back on aerobic work to the point where fat, rather than muscle, is being utilized. Walking four-times-per-week for 40-minutes should be sufficient for bodybuilding purposes. This is an easy one given bodybuilders, and other fitness enthusiasts (for the most part), train with weights. Weight training builds muscle and muscle stimulates the metabolism to a significant degree. Bigger, more muscular, bodybuilders, ironically enough, tend to have more efficient metabolisms by virtue of muscles fat-burning effect. Protein will stimulate the metabolism far more efficiently than either carbohydrates or fat, due to the energy demands of amino acid utilization. In fact, eating a meal high in protein will stimulate the metabolism by as much as 30%, as opposed to fat or carbohydrates which increase it by around 4%. Furthermore, protein will heighten the metabolic rate for around 12-hours after eating. Eating sufficient protein shouldn't be a problem for most bodybuilders, as it is a fundamental requirement in terms of muscle building, and should be an established part of their nutritional plan. One should allow plenty of time (at least 12 weeks, depending on the type of shape they are in) to lose all visible body-fat. Doing this will ensure only a small amount of fat will need to be lost per week (about half a pound) as opposed to a significant amount in a small space of time. Beginning the diet early will, furthermore, allow one to eat a sufficient number of calories in the form of carbohydrates and protein, which will lessen the chances of muscle-mass depletion and the resultant drop in metabolic rate. Dieting too close to competition time (which logically requires dropping calories to low) will send out a signal that the body is approaching a state of starvation, which results in the body shutting down the metabolism to conserve calories for this time of famine. Clearly not what one needs when fat-loss is the aim. Breakfast has long been touted as the most important meal of the day, and for good reason: it kick starts the metabolism and helps to negate the possibility of "indulging" later in the day. A breakfast high in protein, and low in fat, will keep one on an even keel throughout the day. Moreover, and harking back to what was discussed earlier, skipping breakfast will keep the body in a mode of starvation, given it has essentially been fasting over a 8-10 hour sleeping period. Once the body recognizes the fact it needs to hang onto every available calorie, fat loss will be the last thing to occur. Achieving ones best possible shape depends on a number of factors, including an efficiently functioning metabolism. An under-functioning metabolism can, in fact, thwart anyone's chances of losing sufficient body-fat come competition time. Rather than blame a slow metabolism on genetic factors (which might or might not influence metabolic activity), follow the guidelines in this article, lose fat, and look great!